Looking to hire truck drivers in the Tampa, Florida area? Whether you need to hire a truck driver for deliveries, need a regional driver, long haul driver, or even require a box truck, we can help you find a dependable and experienced driver in the Tampa area who can help you with all your transporting and shipping requirements. MeetATruckDriver.com connects you with a community of part-time, full-time, occasional, contract and independent truckers for hire. 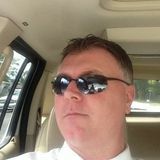 There are two simple ways to find a trucker for hire in Tampa on MeetATruckDriver.com. Browse our list of truck drivers for hire in Tampa and the surrounding area. Identify candidates, review their profiles and compare their services, simply choose one to contact and set up a meeting to discuss your needs. It is really that quick and easy to find a reputable Tampa trucker. Find truck drivers by exploring our list of available Tampa truck drivers below or post your job today. It’s that easy! Find a Tampa area truck driver today! Getting places on time, better financial opportunities for growth and being a team player for the company and helping others.Getting places on time, better financial opportunities for growth and being a team player for the company and helping others.Getting places on time, better financial opportunities for growth and being a team player for the company and helping others. Better Life and opportunities. Better family and good home. Need Future for my kids and others Thanks.Better Life and opportunities. Better family and good home. Need Future for my kids and others Thanks.Better Life and opportunities. Better family and good home. Need Future for my kids and others Thanks.